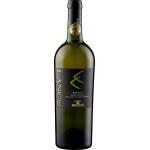 The Cantine Paolini Lance Terre Siciliane Inzolia : a white wine from Terre Siciliane produced by Cantine Paolini produced with inzolia grapes. Uvinum users rate this white wine with 4 out of 5 points. What are the opinions of other vintages or volumes of Cantine Paolini Lance Terre Siciliane Inzolia?